The process of production, manufacturing and resourcing for material objects is a fascinating sub culture with many different outcomes, be it cars, appliances, jewelry or fabric. 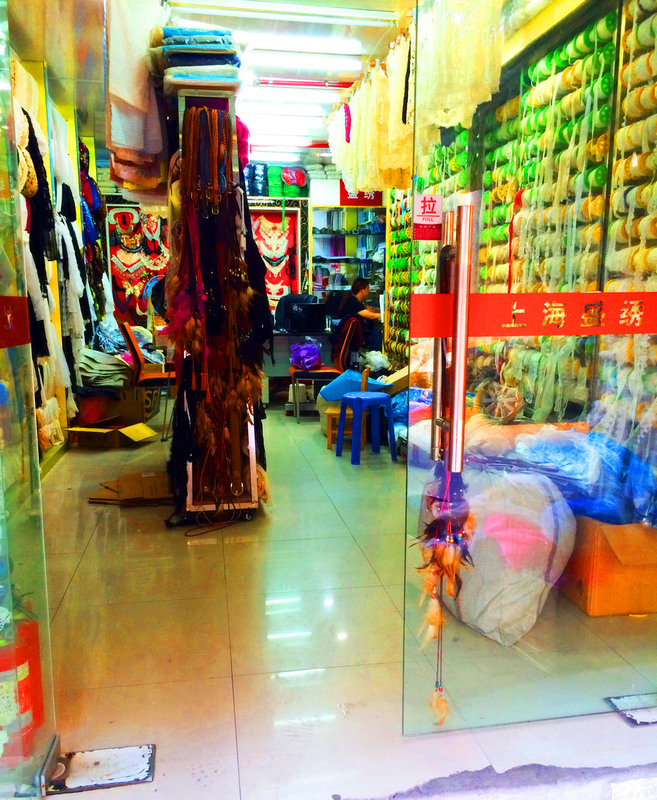 My interest and project deals with resourcing for the production of material clothing in the fashion capital of Shanghai, where every alley is littered with tiny shops selling the resources for fashion designers. 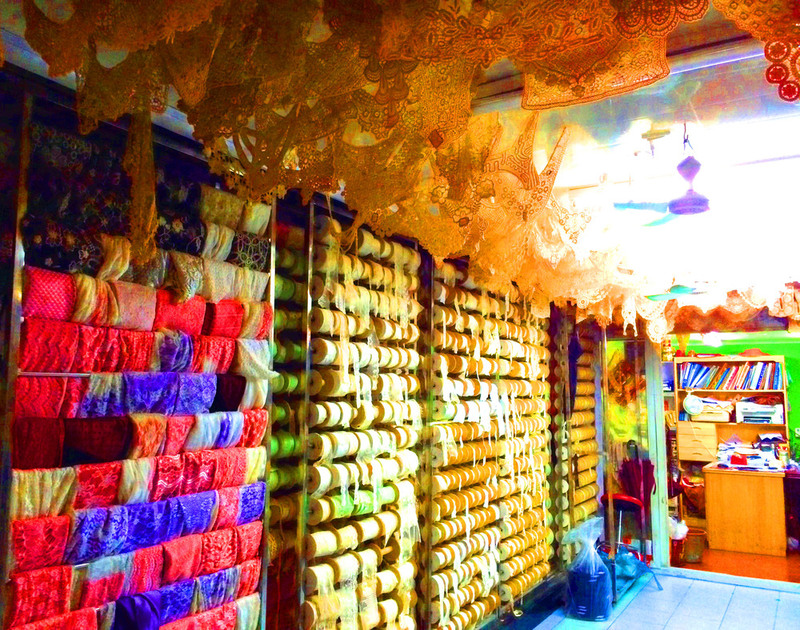 Small shops, open early until late at night, with fluorescent lighting and spools of lace, leather, ribbon; drawers of buttons, zippers, and hooks. 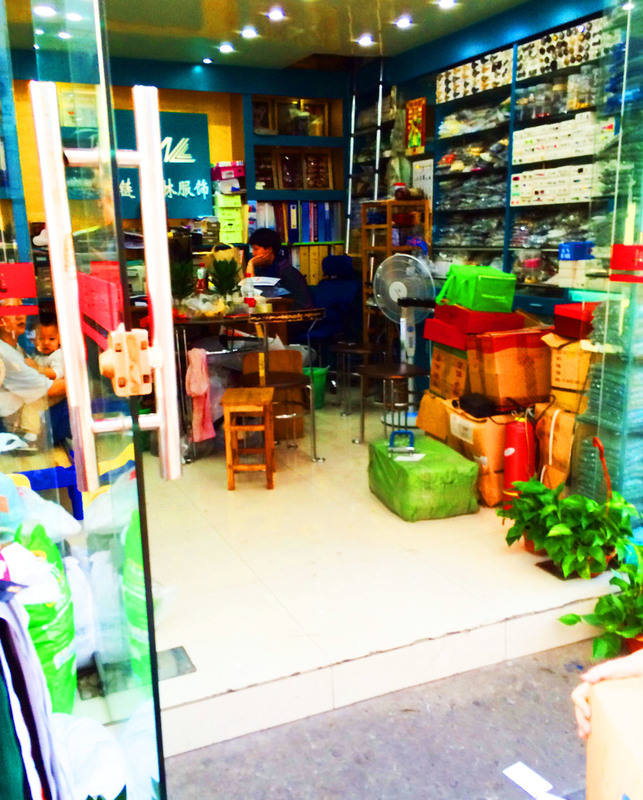 Looking into these tiny shops, I felt a sense of claustrophobia and a hyper sensitivity to the buzzing fluorescent lights. To capture that feeling, the photographs are enhanced with super saturation.